Another quarter is over, but the browser war isn’t. It’s just on break. 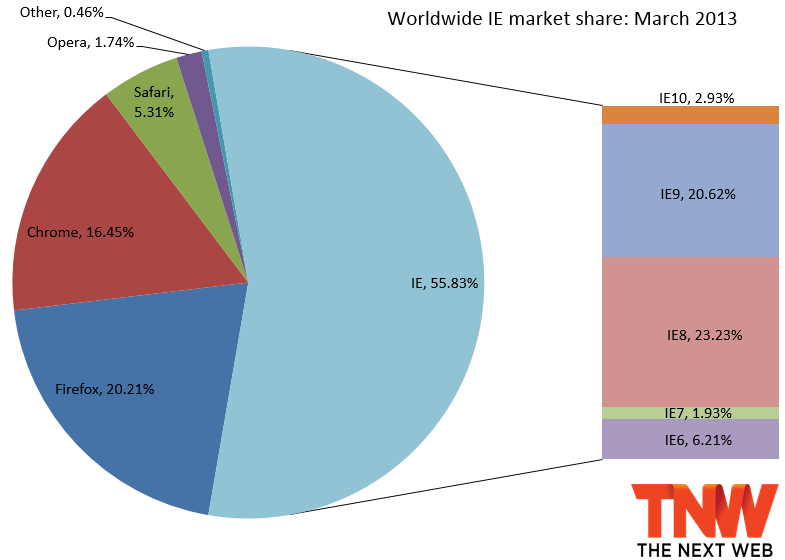 March saw the fifth full month of IE10 availability, the first full month of Firefox 19 availability, and the release of Chrome 26. The latest market share numbers from Net Applications show the top three browsers gaining and the next two flailing. Between February and March, Internet Explorer gained just 0.01 percentage points (from 55.82 percent to 55.83 percent), Firefox was up 0.09 percentage points (from 20.12 percent to 20.21 percent), and Chrome gained 0.18 percentage points (from 16.27 percent to 16.45 percent). Safari meanwhile dipped 0.11 percentage points to 5.31 percent and Opera slipped up 0.08 percentage points to 0.46 percent. At 55.83 percent, Internet Explorer is still growing. January was the first time the browser went back above the 55 mark in a long time, while February and March have shown it won’t be losing that crown anytime soon. Despite Windows 8’s release and gains, however, IE10 was having a hard time pushing things forward. At 2.93 percent in January, the browser gained a huge 1.35 percentage points last month thanks to its launch on Windows 7. As a result, IE9 has lost 1.05 percentage points (its second loss ever), falling to 20.62 percent and IE8 lost 0.15 percentage points, but it’s still the world’s most popular browser at 23.23 percent. 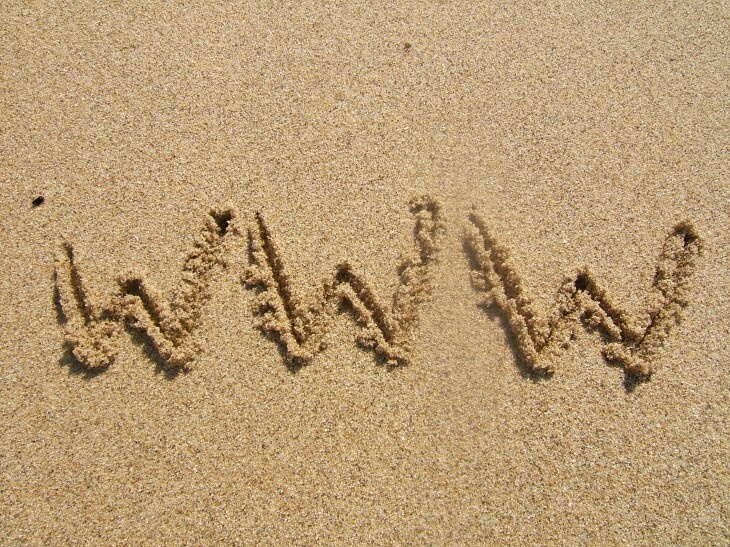 With IE11 on its way, we’re not sure how much penetration IE10 will be able to pull off. IE7 was down 0.08 percentage points to 1.93 percent and IE6 fell 0.12 percentage points to 6.21 percent. Everyone can’t wait for it to fall below the 5 percent mark, but that won’t happen till sometime later this year (and China is delaying things). 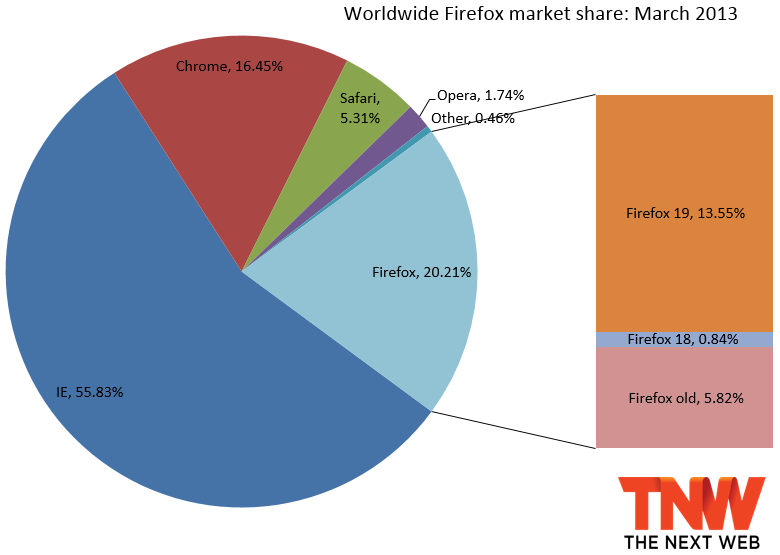 At 20.21 percent, Firefox continues to hover at the one-fifth-of-the-market mark. Now that it has been available for a full month, Firefox 19 has hit 13.35 percent. All other versions are down: Firefox 18 fell 10.21 percentage points, Firefox 17 lost 0.13 percentage points, Firefox 16 was down 0.07 percentage points, and Firefox 15 dipped 0.03 percentage points. At 16.45 percent, Chrome is still recovering from its losses in the last few months. Nevertheless, Chrome 26 grabbed 0.66 percentage points (it was released at the end of the month), while Chrome 25 hit 13.42 percent. Chrome 24 was down 10.42 percentage points, Chrome 23 lost 0.16 percentage points, and Chrome 22 fell 0.01 percentage points. At this rate, Chrome may not pass Firefox in 2013, though we’re still expecting it to happen. IE9 will soon pass IE8, taking the crown as the world’s most popular browser version, and hopefully IE10 (or maybe IE11) will pass IE7 and IE6. 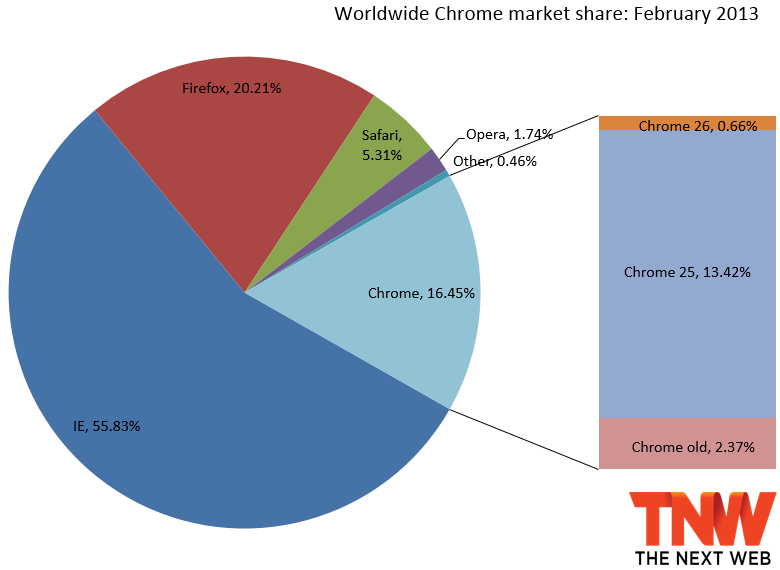 Nevertheless, for March 2013, StatCounter listed Chrome as first with 38.07 percent market share, IE in second with 29.30 percent, Firefox in third with 20.87 percent, Safari with 8.50 percent, and Opera with 1.17 percent. The only part everyone agrees on is that Safari and Opera are not in the top three.